They are born with the torment of Yomi in their veins and the hatred of the living as their birthright. They are destined to be servants to those who should call them kin, and monsters to those who should embrace them. But they will not be denied their birthright. What does it take to be one of the mortal children of the walking dead? The answers are in this book, from character generation to the final fates of the dhampyri. If you want to include the children of the Kuei-jin in your Kindred of the Eastu153? 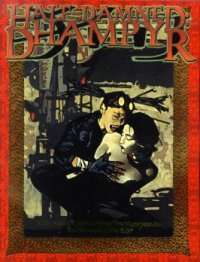 chronicle, Half-Damned: Dhampyri is invaluable. And if you don't, remember, they don't like being left out - of anything.